The Aythya innotata, a diving duck considered almost extinct, is once again living on Lake Sofia, in Northern Madagascar. 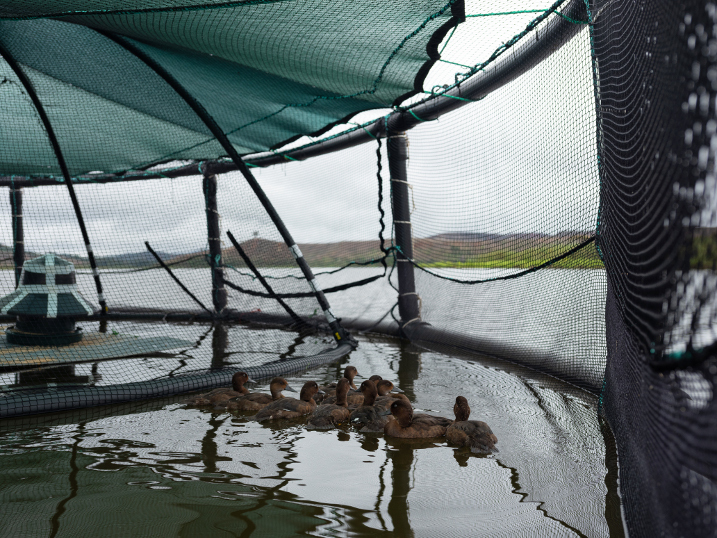 Indeed, 21 of these ducks raised in captivity have been released, after being held for a number of days in a floating aviary in the middle of the lake to allow them to become accustomed to the new environment. Then they were set free to go out, interact with the environment and other species and, if they wished, return to the aviary to seek shelter and food. The site for their release, Lake Sofia, was chosen because of its low level of pollution, the scarcity of predators and lack of human activities that may interfere with the lives of the new specimens. The Aythya innotata, better known as the Madagascan pochard, is considered to be one of the rarest birds in the world, since no one had sighted any specimens in the wild for many years; only a few survived in captivity, captured precisely to foster reproduction and conservation of the species. The 21 pochards that have just been released were reared and freed by the Wildfowl and Wetlands Trust (WWT), a British association concerned with wildfowl preservation. For now, everything is going very well, but it remains to be seen whether the pochards will decide to stay where they are and whether they will succeed in feeding themselves.